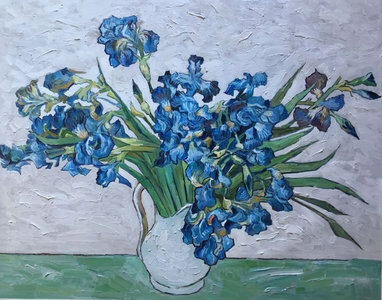 The blue blossoms of irises against a pale background, highlighted by unique brushstrokes in green—the Vase with Irises oil painting reflects Van Gogh’s combined love for still life and nature. Specialised in producing remarkable replicas of Holland’s most renowned painter, we pride ourselves in continually preserving our nation’s rich culture and heritage. Our imitations not only look, but also feel original. With a collaboration of several skilled artists who have studied Van Gogh’s painting techniques thoroughly, we provide replicas that not only retain the same colours but also the quality in terms of the ambience, brushstrokes, and colour mixing in each painting. Van Gogh’s life was filled with unfortunate events starting from the incident where he cut off his left ear. He suffered delusions of being poisoned leading to an alternating stay at the hospital and his home. In 1889, Van Gogh voluntarily admitted himself to the asylum of Saint Paul in the lovely commune of Saint-Rémy, southern France. Here he seemed to find solace in painting—Irises being a significant part of Van Gogh’s exemplary art of that period. 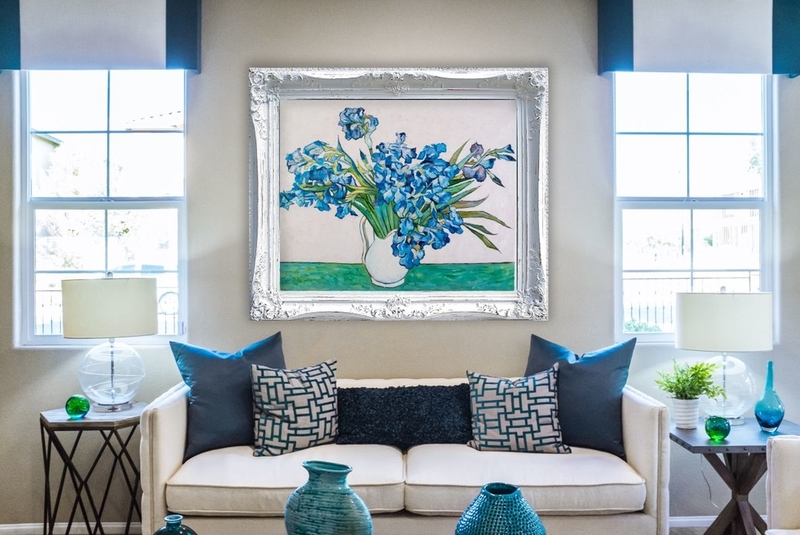 The painting reflects an estranged tranquil with its pale background and blue irises—much like Van Gogh’s mindset during his days at Saint-Rémy. A muted vase that complements the sombre coloured background, holds several irises that are rich in colour, texture, and character. The intricate details are complemented by the bright green of the flower stems. The irises were originally purple in colour, but the red pigment in the paint faded over time, giving the masterpiece its unique blue shade. Van Gogh described these irises as soft and harmonious.